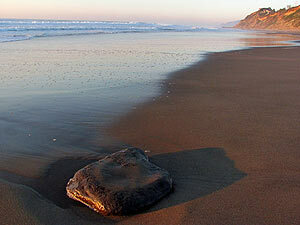 (Oregon Coast) – An impressive array of attractions and spas exist along the shores of the Oregon coast. It's about getting pampered and inner renewal at a place that's already laidback and rejuvenating. It's about tickling your brain and imagination with the science and historical attractions, or having adventures in tide pools, feeding cute seals or riding along old railroad tracks. (Photo above courtesy Seaside Aquarium). 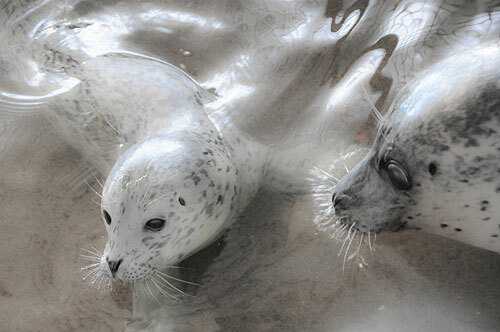 Feeding the seals at the Seaside Aquarium has been a favorite of tourists for decades. Seaside Aquarium. For over 70 years it’s been the major attraction in Seaside, cajoling generations of visitors to dig a bit more deeply into their coastal experience. Feeding the seals has been the big draw for much of that time, allowing the public to grab some small chunks of fish and tossing them to the seals – who do wacky and adorable tricks to get your attention. All manner of exotic, freaky fish roam their various tanks, many of them spiny and pointy and not resembling anything of this Earth at all. There is an octopus or two, starfish, seahorses and then seemingly the stuff of aquatic salads: funky creatures with names like sea cucumbers, sea lemons and sea lettuce. You can see what cod or tuna look like before they become part of your fish ‘n’ chips, and other rather gigantic fish swimming around in their natural environments. Engage in eye-to-eye contact with moon jellyfish, the ferocious Wolf Eel or a deadly Moray eel. The roster of oceanic beasties changes with the seasons, too. A touch tank allows you to get up close and personal with all kinds of sea goo. It’s a perfect reason to head to the coast during the winter months, while the other seasons provide different kinds of entertainment for the family as well. 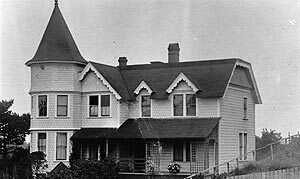 200 N. Prom, Seaside, Oregon. 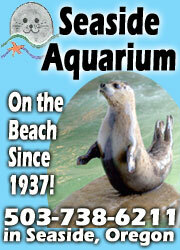 www.seasideaquarium.com (503) 738-6211. Lincoln City Visitor Center, Lincoln City. Catch up on all the extraordinary fun things to do in town, as well as find your way around dining or lodging. Do it online and plan your trip ahead, or pop into the center at 40 NE Hwy 101, Lincoln City, Oregon, to grab literature and pamphlets while you're there. 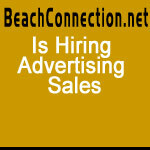 Call ahead to find out about lodging availability during high-density weekends (mention BeachConnection.net when calling). 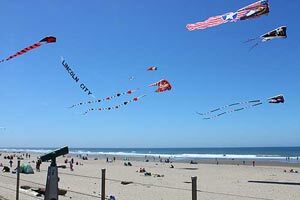 Lincoln City offers a huge variety of things to do: It's a Great Place to Learn New Things. Culinary classes, blow your own glass float, museums, a casino, major festivals, and shopping opportunities are just part of what awaits you beyond the vegetation line. The beaches are miles and miles of uninterrupted pristine sands, including a stunning bay, stunning cliffs and more. 800-452-2151 www.oregoncoast.org. 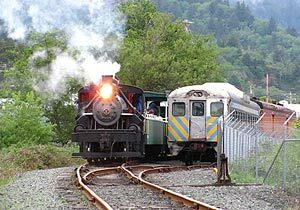 Oregon Coast Scenic Railroad Train Ride Schedules, News, Photos One of the more popular attractions along the entire Oregon coast runs out of Garibaldi these days: the Oregon Coast Scenic Railroad. The Oregon Coast Crawler and the Oregon Coast Explorer take you on an a variety of heady journeys originating in Garibaldi. It’s a leisurely journey up the Oregon coast, as the train huffs and puffs along the north coast, affording big, panoramic views of both Tillamook Bay and Nehalem Bay. These vintage, antique trains stop for lunch and free time at Wheeler as well as Rockaway Beach. Also news and updates from the rail rides. Oregon Coast Explorer Train, Railrides. 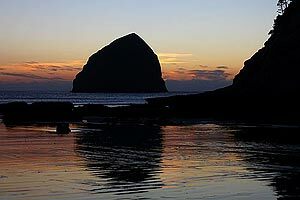 Cannon Beach's Haystack Awareness Program: N. Oregon Coast Schedule About the Haystack Awareness Program; tide pools, science, kids, Cannon Beach attractions. A sort of moving attraction on the Oregon coast, volunteers are on the beach at the Cannon Beach landmark formation helping visitors find all the interesting natural stuff. There is a larger purpose of stewardship and environmental education where the primary mission is protect the area. These marine gardens are packed full of a closely-entwined bird ecology and a intertidal habitat which require a kind of constant monitoring and vigilance. The HRAP beach schedule varies greatly and is highly dependent on weather that permits volunteers to be out on the beaches – and it must coincide with low tides. Also, news and updates from the Program. Whale Watch Center, Depoe Bay. Headquarters to the Whale Watch Spoken Here program that operates the twice-yearly Whale Watch Weeks, here you can hang out and learn a lot about whales as well as see them. A myriad of displays about whales, seals and other sea life abound at the Whale Watch Center. You can even watch films on the subject. Located at the southern end of the Depoe Bay Bridge, right next to the bay, on Hwy 101, Depoe Bay, Oregon. (541) 765-3407 and (541) 765-3304. Website. 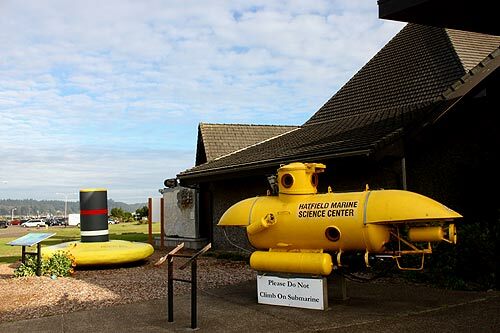 Hatfield Marine Science Center. Serious science fun in the South Beach area, next to Oregon Coast Aquarium. Admission is free. Enjoy a wide variety of science displays geared to all ages, including whales, sharks, other sea life, a live octopus in the lobby, and much Oregon coast weather and geology. Learn about the fault lines near the coast and tsunamis. See the tsunami dock that arrived here from Japan in 2011. Submarines, submersibles – and bundles of important research. Hatfield Marine Science Center is at 2030 SE Marine Science Drive. (541) 867-0226. Website, events and news here. Go directly to Man-Made and Natural Oregon Coast Attractions - or keep scrolling to see spas and attractions. This is just a sampling of the attractions and nature to be found in these areas of the Oregon coast. See their respective Virtual Tours for more. Astoria/Warrenton Attractions. 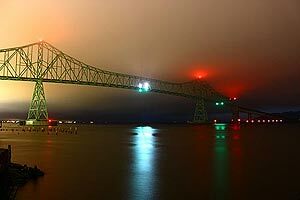 See Astoria's giant bridge, and tour the many Victorian mansions and several museums. Warrenton contains the Battery Russell, a historic fort and battlement that spanned the Civil War to World War 2, as well as the wreck of the Peter Iredale, one of the world's most famous shipwrecks. See the Astoria/Warrenton Virtual Tour and Maps for more information. Seaside Attractions. 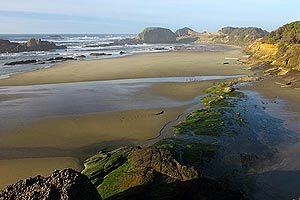 Hiking and beachcombing are big on these soft, sandy beaches, as well as over Tillamook Head. See the Seaside, Oregon Virtual Tour and Maps for further details, or the Complete List of Seaside, Oregon Beaches. Cannon Beach, Arch Cape Attractions. Several landmarks regarding Lewis and Clark and other local history abound here, while beaches like Ecola State Park and Silver Point are good for surfing. Tillamook Head has miles of trails and viewpoints. A lighthouse sits just offshore here. See the Cannon Beach Virtual Tour, Blog and Maps for more. 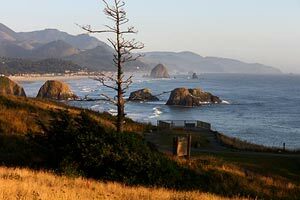 See the Complete Guide to Cannon Beach beach accesses as well. 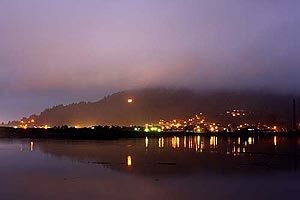 Manzanita, Nehalem Bay, Rockaway Beach Attractions. Nature attractions include the Nehalem Bay and Wheeler's many crabbing, boating and kayaking opportunities, plus the long beaches of Rockaway and Manzanita, and many spectacular viewpoints. 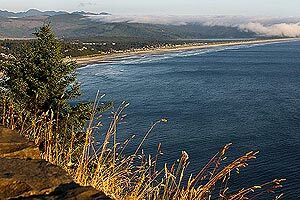 Neahkahnie Mountain is a favorite for hiking, and Oswald West State Park includes more trails and a surfing hotspot. Man-made attractions include the docks, the jetties of the Nehalem Bay and lots of antiquing in Wheeler. 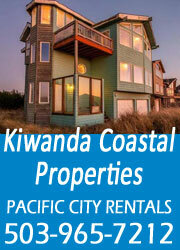 See the Virtual Tour for Rockaway Beach, Manzanita, Nehalem Bay and Wheeler for full details. Lincoln City Attractions. Dig deep into history with a few museums, blow your own glass ball or go boating on a lake. Natural attractions include seven miles of unbelievably pristine beaches, a geologic oddity called a “ghost forest,” Siletz Bay and more. See the full list and details at the Lincoln City Virtual Tour, Maps and Blog. 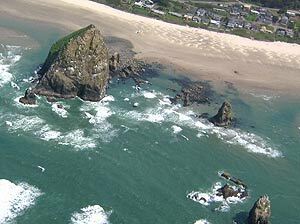 There is also the Complete List of Beach Accesses for Lincoln City, Oregon Coast. Depoe Bay, Gleneden Beach Attractions. 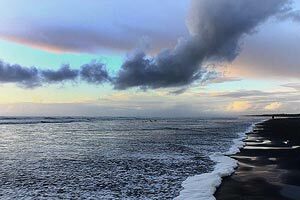 The soft but rather dramatic sandy beaches of Gleneden Beach are part of the charm of this area, moving down to Depoe Bay's rough-and-tumble monster wave action and the soaring viewpoints of Devil's Punchbowl and Cape Foulweather. Man-made delights include many whale watching and fishing tours out of Depoe Bay, and some great whale and nature museums. 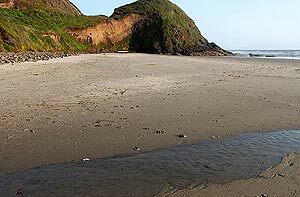 See the Depoe Bay – Gleneden Beach Virtual Tours and Map for the full list and details. Newport, Oregon Attractions. The central Oregon coast hotspot is well known for two lighthouses, museums, intensely satisfying shopping possibilities, the unbelievably fascinating historic landmarks and the working Bayfront, along with the famed aquariums and kids' attractions. Natural must-see's include the many miles of beaches, the Yaquina Head headland and its birding possibilities, plus Yaquina Bay and its varied crabbing, fishing and whale watching opportunities. See the Newport, Oregon Virtual Tour, Blog and Maps for complete lists and details. 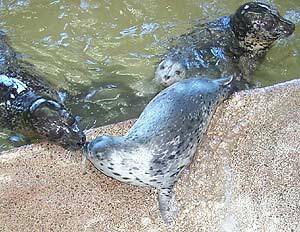 Waldport - Seal Rock Attractions. Miles and miles of soft sand surround Waldport and parts of Seal Rock, where some fascinating beaches make for a day's exploration. 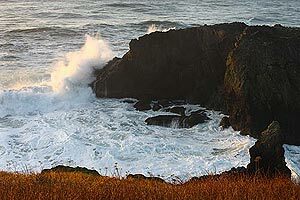 Seal Rock has some of the more dramatic scenery and intricate rock exploration on the entire Oregon coast. Man-made attractions include the Alsea Bay's various crabbing businesses and an engaging history museum. See the Waldport, Seal Rock Virtual Tour and Maps for details, or the Complete Guide to Waldport, Seal Rock Beach Accesses. Yachats Attractions. 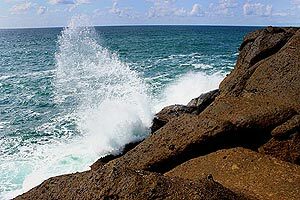 The natural fun is too numerous to mention here, with tons of wild waves smacking miles of rocky beaches, hiking trails, the stunning viewpoints of Cape Perpetua and so much more. These can be seen at the Yachats Virtual Tour and Map, but more stunning beaches and viewpoints nearby are available at the Upper Lane County Virtual Tour and Map – including Devil's Churn, Strawberry Hill, Ocean Beach Picnic Ground, Cook's Chasm and more. Florence Attractions. 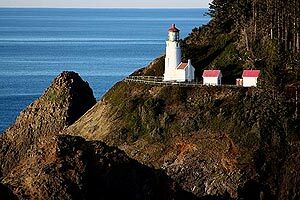 It's easy to get sucked into the beautiful lighthouse, the sea lion attractions, the atmospheric waterfront and many other details of this central Oregon coast beauty. Beachy attractions include the major sand dunes, soaring viewpoints, and miles of pristine stretches of sand. See more at the Florence, Oregon Virtual Tour.